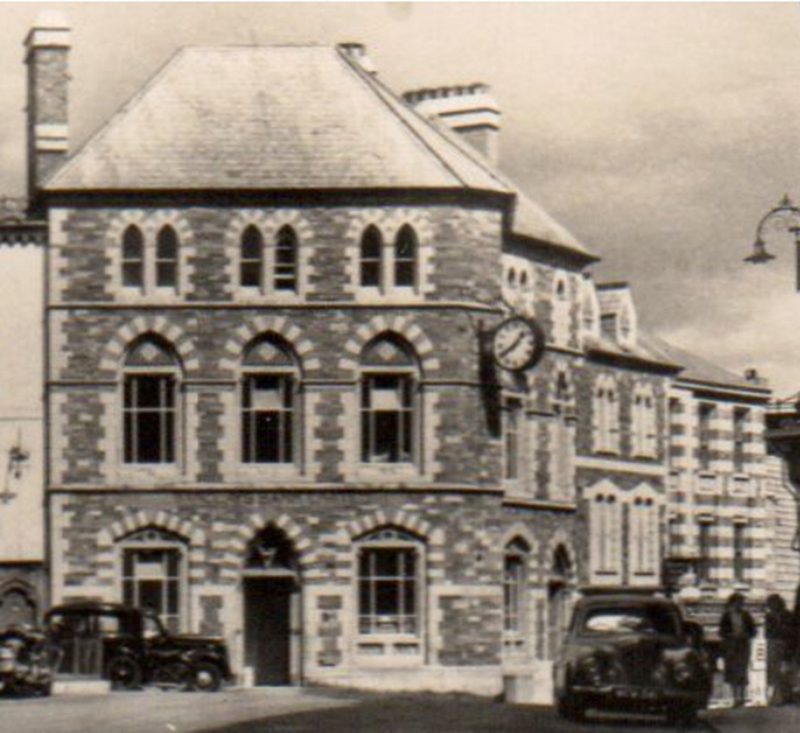 East Cornwall Bank Company, Launceston | Launceston Then! In 1831, the East Cornwall Bank Company opened an agency in Launceston, on the corner of Broad Street and the Square. Due to growth and lack of space, in 1885 it was decided to erect a new, modern bank, with offices and accommodation in one building. Applying for planning accommodation to Launceston Borough council, they decided to use the services of Mr O. B. Peter, Town Architect, to draw up plans for their new establishment. The town council requested Mr Peter to complete the block to the newly established Tavistock bank, erected by Mr William Burt, on the corner of Broad Street and Church Street, to make one large block of the same design and materials. To complete the block it was suggested a small shop between the two banks be inserted. Designs duly passed, Mr Burt, contractor and builder, was requested to complete the block from Church Street to the corner of the Square. The Tavistock Bank building was made into a café, offices, and a flat: in October 1932, the newly refurbished flat on the top floor caught fire and was badly damaged to a cost of between three and four thousand pounds. The East Cornwall Bank, then having been taken over by Barclay’s Bank, caught fire in April 1934, smoke and water causing more damage than the fire, which was quickly spotted and the fire brigade soon had it under control.